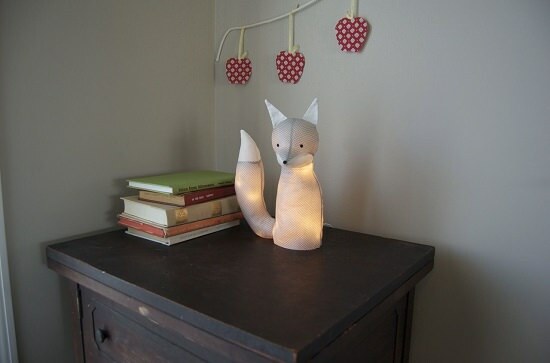 Beautify your home with these easy DIY lamp ideas. 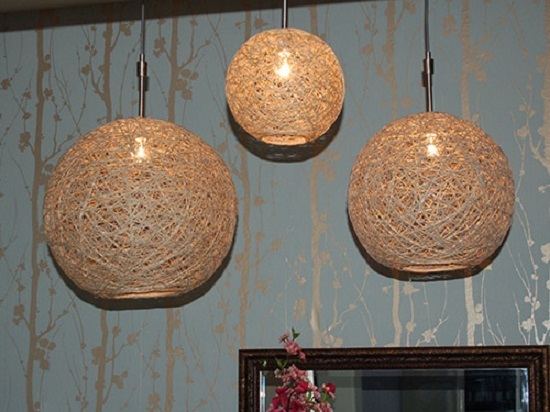 Good looking lighting can be expensive but these lighting ideas are here to save you bucks! Cut off a wire mesh in a circular shape and layer it with string lights and coffee filters to imitate this wall decor lamp. Crafty Nest has the tutorial. 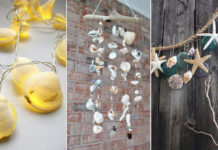 How about recycling some branches from your yard to revamp them into an impressive chandelier? Seek an easy tutorial at Apartment Therapy. 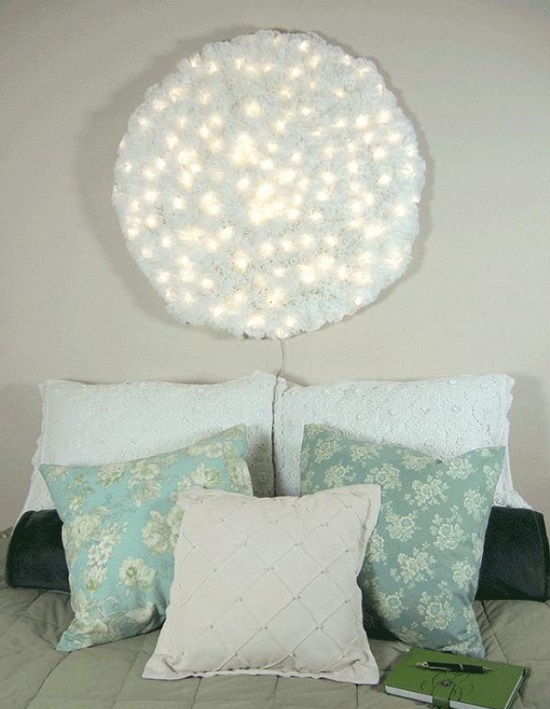 Secure ruffled ribbon over your night lamp using hot glue to recreate this lamp shade. The idea courtesy is on Curbly. 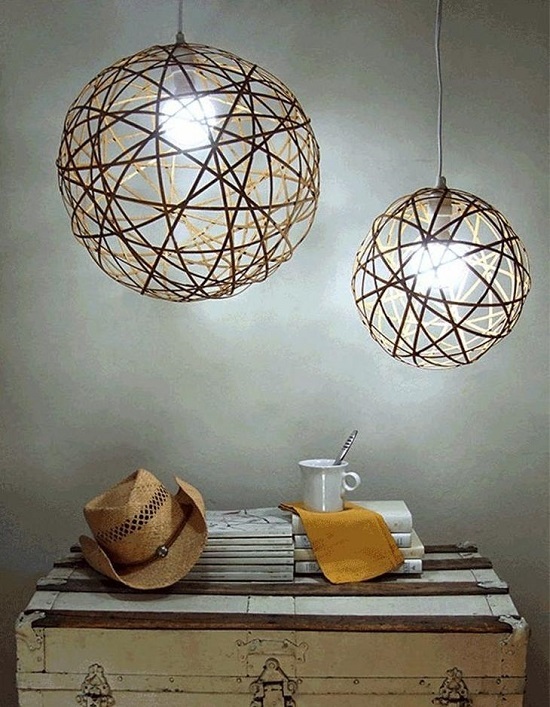 Assemble some bamboo slat in a circular shape using a strong glue, and once they dry, insert a pendant light. Visit Crafty Nest. 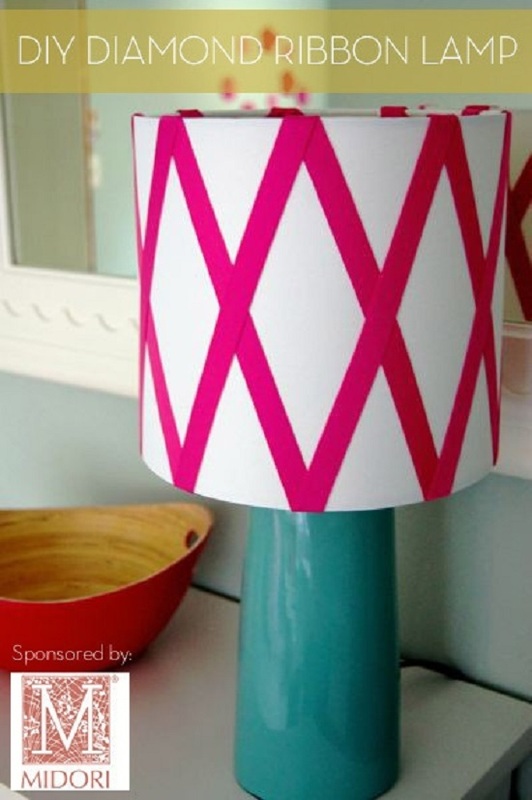 Obtain diamond shapes over your table lamp by using some glue and any color ribbon. For detailed instruction, click here. Carve out any shape or design on a tin can through a nail and hammer, paint the can and lastly, add a candle. The directions are at Fine Gardening. Apply a cat of glue over an inflating ball and wrap it with hemp string; allow it to dry. Once dry, inflate the ball and attach the lamp to electrical connections. Visit Homedit. 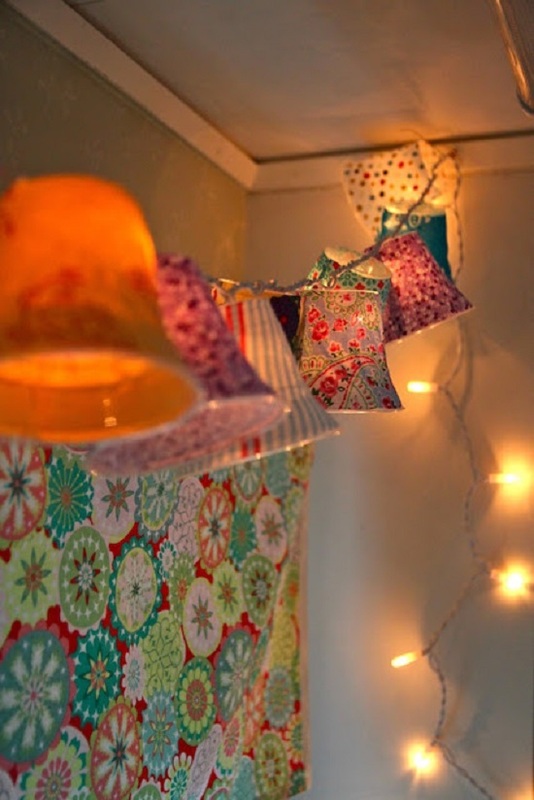 Cover plastic cups with fabric pieces and attach them to a string light to replicate this lampshade DIY. Check the tutorial here. 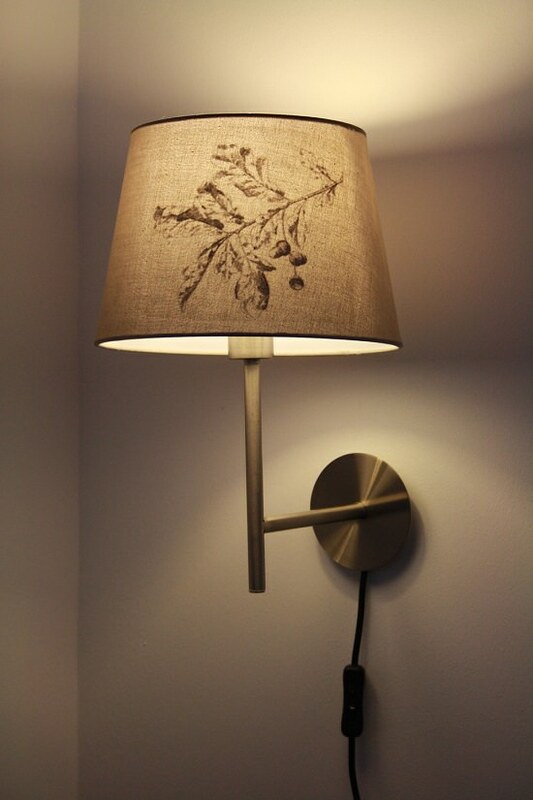 Draw a city night template on your lamp and use pins to make holes as per your design, that’s all. 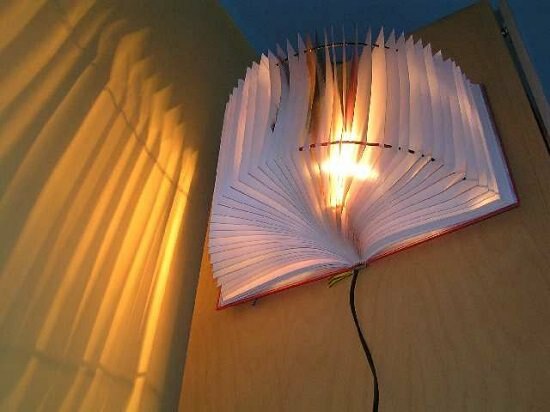 Create this statement lamp here. Light up your memories with this easy photo lamp, which you can create using photos, scotch tape, and scissors. The tutorial is available at Mommy Moment. This liquor bottle lamp is a great gift idea for your male friends and family members. Try to complete the DIY with this tutorial. 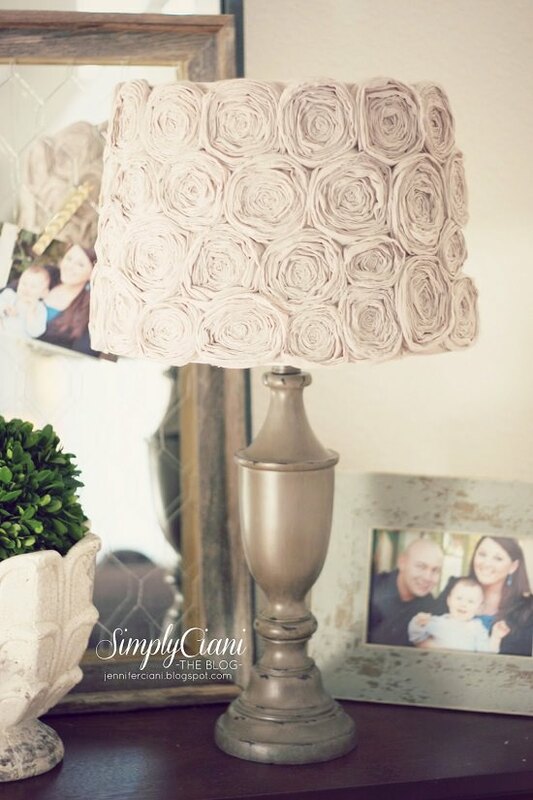 Roll strips of fabric into a rose and secure it with hot glue on the shade to imitate this minimal lampshade DIY. This idea might be time-consuming, but it surely adds a pretty appeal to your room. Create dining table lamps out of wine glass bottles to set up the place for a romantic evening! Look at the tutorial here. 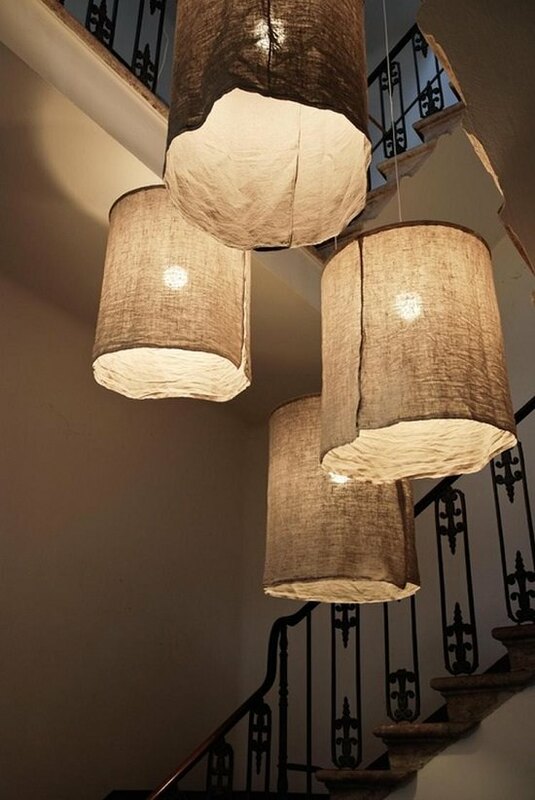 This rustic and impressive lampshade can be done with a few supplies and in simple steps. Here are the steps for you to follow. 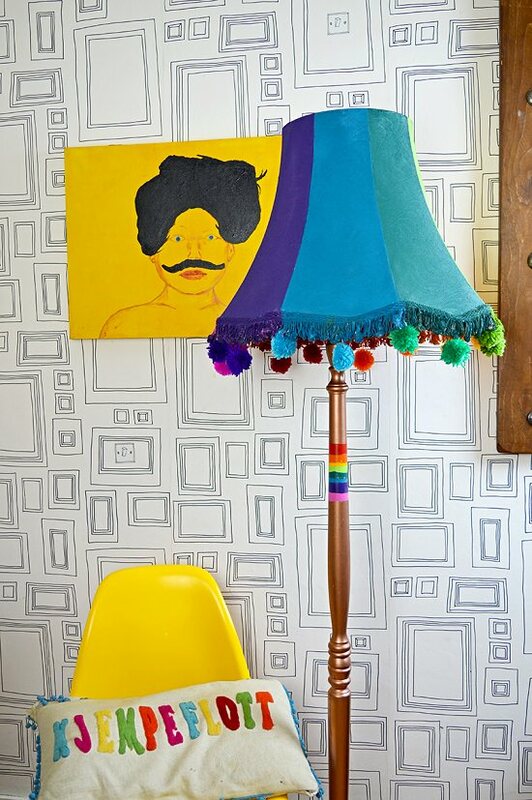 Combine an old floor lamp with colourful spray paints and yarns to transform it into this vibrant lampshade. Follow the step by step instructions here. 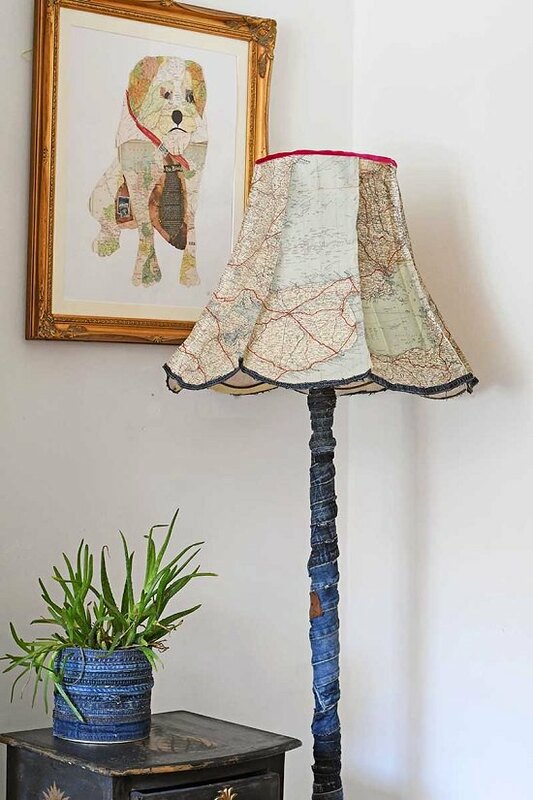 To recreate this lamp project, replace the old lampshade with a road or world map template. If you have a soft corner for traveling, you’ll love to execute this DIY. 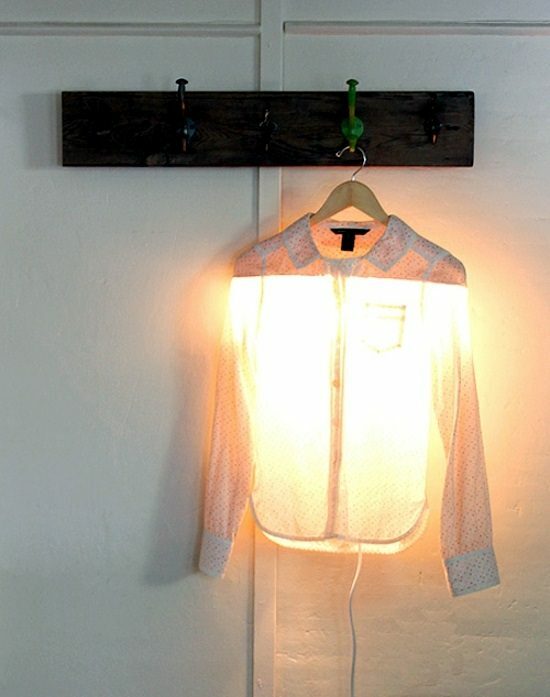 Give a complete modern transformation to your room wall with this one of a kind shirt lamp. Hang a wooden board (with a hole to hold the bulb) to a wall with the help of a hanger. More details here. 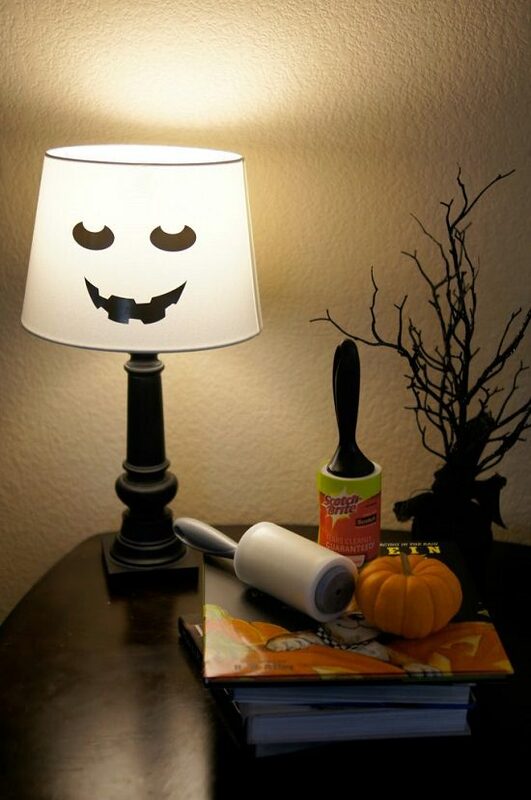 Take your Halloween spirit to a more spooky level with this spider lamp. Have a look at the step by step tutorial here. 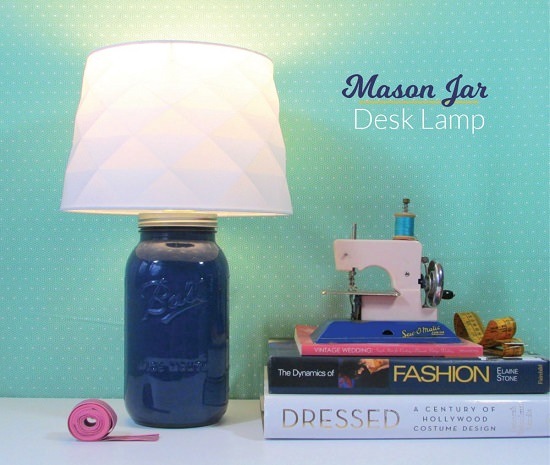 Drill a hole at the bottom of a mason jar and pass the hardware wire through it to adjust your lamp kit. It’s up to you whether you wish to paint the jar or keep it as is; for painting, you can use any spray paint. Glue two same size bowls together and create a specific pattern with duct tape and later drilling wonky holes through the design. 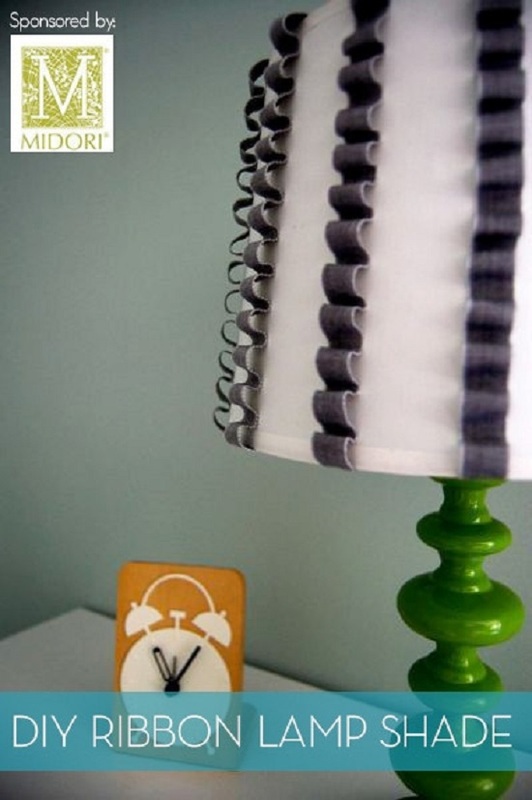 Once done, remove the duct tapes and follow this tutorial by Mad In Crafts. Cut a wide strip of tulle and start sewing it from one end in order to create a tulle skirt. At last, adjust the lamp kit and hang it from the ceiling. Have a look here. 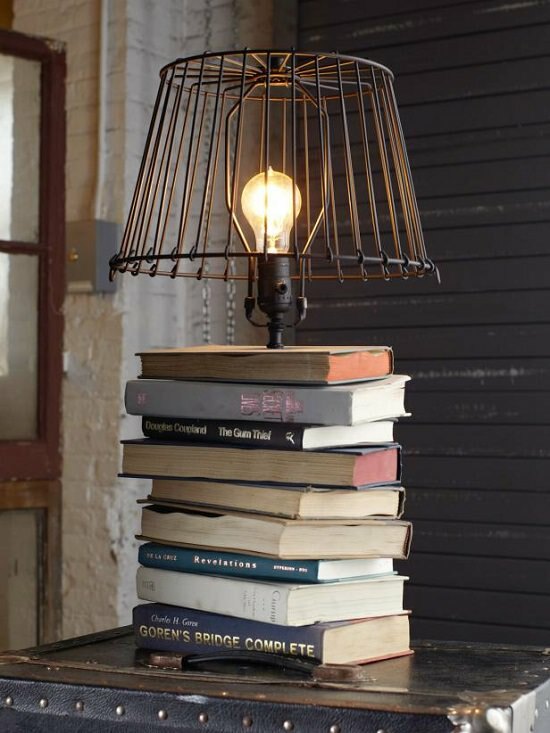 If your love for books and novels is inseparable, try stacking up your old books to form the base of your table lamp. HGTV has directions. Shape wire into a circle and attach the linen fabric to it with glue. Sew the bottom hem and attach the pendant cord, click here. Cut a big hook in a similar fashion as here and mount the bulb holder in between. Make two holes at two ends of the book and pass a string through them to complete the project. Driftwood crafts are something that no one can reject, especially if it gives a rustic appeal to the surrounding. 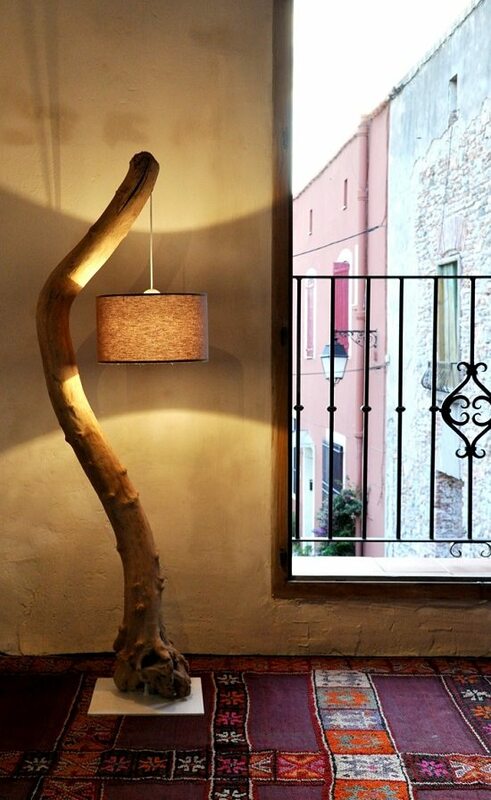 Create this floor lamp with !D Lights. Slice a few drinking straws with a small pair of scissors and leave at least 1 cm band in the center of each straw. Choose and form the desired shape with a gauge wire. Further directions are here. Make use of your sewing skills to form a stuffed fox with fabric and cotton for stuffing. The rest of the steps are here. 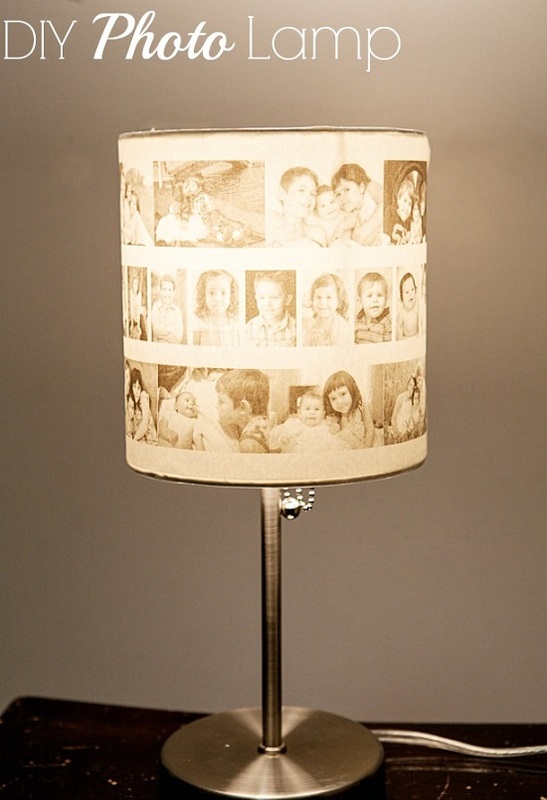 Glue your favorite photos around your lampshade and laminate it afterward to bring back your memories to light. Take help from this DIY by Million Moments. Cut the top part of plastic spoons and glue them accordingly as mentioned here to form a lamp like structure. Refer to Handi Mania for a more detailed version. Found some inspiring easy DIY lamp ideas? Leave your comments below!